What ever happened to putting a woman on the $10 bill? Treasury Secretary Jack Lew made the momentous announcement last June: He'll put a female face on U.S. currency for the first time in more than a century. But he didn't say whose face it will be. Lew promised to spend some time collecting public opinion and to announce a decision by the end of 2015. It turns out Americans had plenty to say about the matter, and which woman should share the bill with Alexander Hamilton was hardly the only point of contention. So in December Treasury punted, saying it would delay the announcement to take more time considering "a range of options." Eleanor Roosevelt, Rosa Parks, Harriet Tubman and Susan B. Anthony are among the contenders to grace the new bill. Some argue that Alexander Hamilton -- the nation's first treasury secretary -- shouldn't have to share top billing with anyone else. Others say a woman shouldn't have to share space on a bill with Hamilton -- she should have her own bill. Some advocate for putting a woman on the $20 instead. They point to Andrew Jackson's questionable legacy, which includes supporting the Indian Removal Act of 1830. Celebrities, political leaders and thousands of social media users have weighed in with opinions. Former Federal Reserve Chairman Ben Bernanke called the decision to oust Hamilton "appalling," and said Lew should "replace Andrew Jackson, a man of many unattractive qualities and a poor president." The smash-hit Broadway show "Hamilton," which won a Grammy Award Monday night, has also made the current $10 bill figurehead somewhat of a reborn celebrity. The movement to replace Jackson with a woman on the $20 actually started before Lew revealed his plans for the $10 redesign, and it still has widespread support. The founder of the Women on 20s campaign, Barbara Ortiz Howard, told CNNMoney that the group has had several meetings with Treasury officials to advocate for putting a woman on the $20, emphasizing that a woman shouldn't have to share space with Hamilton. Lew has said repeatedly that he picked the $10 bill because it was already slated for a "security update" back in 2013. 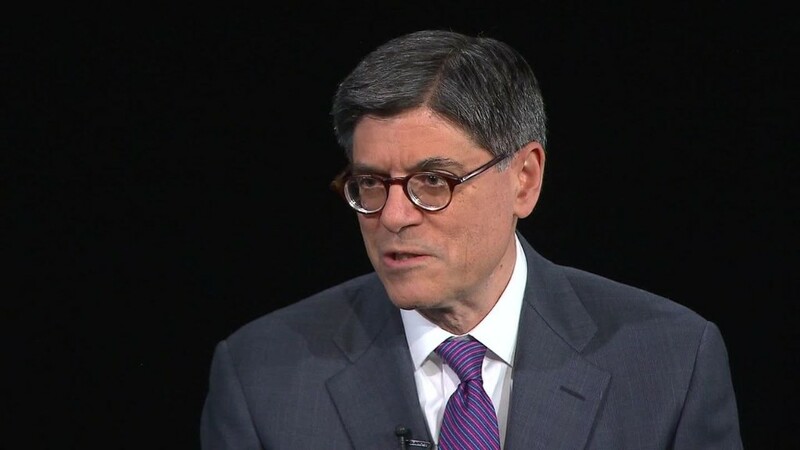 Treasury's latest statement noted that it's considering a "range of options" for handling that redesign, but Lew has also indicated his vision for incorporating women into U.S. currency is bigger than just one denomination. He told CBS last fall that "women will be a prominent part" of a "new series of bills." But the $10 bill is the only redesign currently underway, and a mockup won't be ready until 2020, according to Treasury. So if Lew keeps Hamilton as the sole face of the $10, it could mean waiting even longer to see a woman appear on U.S. money.